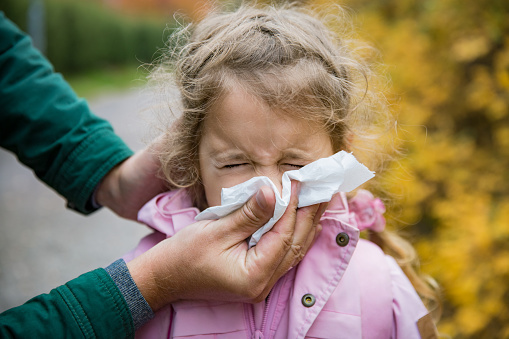 Yes, it’s that time of year again, the season when everyone around you seems to be sneezing or coughing, including the kids at your young children’s preschool or school. So, what can you do to keep your own kids cold free? Here are strategies to consider, as well as some myth busting, from three helpful websites. One of the simplest things you can do to prevent colds is by using effective handwashing techniques, says Parents.com. 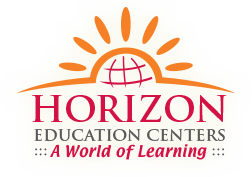 And, to help, Horizon Education Centers created a handwashing guide that includes kid-friendly personal hygiene recommendations to help prevent colds—or even flus. The reason this can work well is that getting the common cold virus on your hands—and then touching your eyes, mouth or nose—is the easiest way to catch a cold. When you wash your hands with soap and water for at least 30 seconds, this can help prevent cold germs from spreading. Covering up your mouth when you sneeze, while a polite gesture to make, isn’t nearly as effective because, unless someone sneezes directly in your face, it’s hard to catch a cold virus through germs in the air. Bundling your child up in the winter, while a good strategy, also isn’t an effective cold prevention strategy. Studies have shown that wet and cold people infected with viruses aren’t more likely to get sick than someone who stayed warm. Plus, kissing your child goodnight isn’t likely to spread cold germs—but bacteria such as that causing strep throat can be transmitted that way. The University of Michigan also states that, when you practice good personal hygiene habits, you can help to prevent cold germs from spreading. Droplets from sneezes can land on toys, countertops, faucets, door handles and the like, so preventing these germ-filled droplets from getting into your child’s eyes, nose or mouth is key. 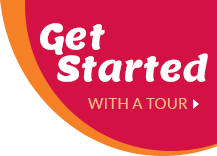 Let your child know, too, not to share drinks or eating utensils with other people. There is no evidence that over-the-counter supplements and/or vitamins help with cold prevention. This includes but isn’t limited to Vitamin C. Neither does encouraging your child to stay indoors. What does make sense: keeping your child away from people who are sick, whenever possible, and sanitizing your child’s environment. Finally, here is a look at what the Centers for Disease Control and Prevention (CDC) has to say on the cold prevention subject. If your child can’t wash his or her hands with soap and water, alcohol-based hand sanitizers are a good choice. If your child does catch a cold, keep him or her away from others who aren’t sick (especially those with poor immune systems) and make sure your child gets plenty of rest and drinks lots of fluids. Talk to your child’s pediatrician about using cold medicine; although these can’t make the common cold go away any faster, they can help with symptom relief. Not all products are appropriate for young children, though, so ask the doctor first. Cool mist vaporizers may help relieve cold symptoms, while gargling with warm salt water or eating popsicles can ease sore throats; so can warm beverages. To help with ear pain, place a warm moist cloth over your child’s ear. For a runny nose, ask your child’s doctor if a saline nose spray makes sense, and put a warm compress over your child’s forehead and nose to help relieve sinus pressure. Call your child’s doctor if symptoms last for more than ten days, are especially severe—of if your child is younger than three months of age and has a fever or is lethargic.